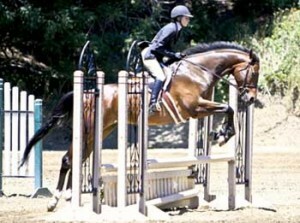 Donna’s teaching is based on equitation because without correct position you can’t ride to your best ability. Donna teaches each student how to ride their horse effectively to reach their goals. She enjoys watching her students learn and grow through positive encouragement and the reward is seeing the smiles on their faces for a job well done. Donna started competing as a teenager and never looked back. Through her years showing as a junior and adult amateur she was very successful winning championships in both hunters and equitation classes. Donna is still competitive in the show arena as she likes to be a good example of good horsemanship to her students.